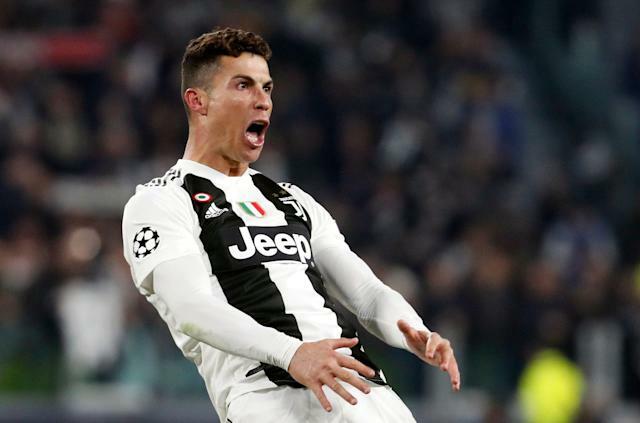 Cristiano Ronaldo went a little too far celebrating the third goal of his hat trick that knocked Atletico Madrid out of the Champions League. At least in the minds of UEFA, which charged Ronaldo with improper conduct over his antics last Tuesday. The gesture appeared to be in response to Atleti manager Diego Simeone, who grabbed his crotch after his side’s second goal against Juve in the first leg. Simeone was fined €20,000, or about $22,700, for his celebration. Ronaldo’s punishment will probably be around the same, or maybe even a little costlier. UEFA will rule on the matter March 21, well before Juventus’ quarterfinal clash with Ajax begins on April 10. Altogether, it’s not a great look for Ronaldo, whose life apart from his play on the pitch has not been a great look for awhile now.